A consignment of tender wheels arrived today although I was slightly crestfallen to see that my supplier had provided OO wheels on pinpoints which were ultimately as much use as Nigel Farage to an Edinburgh taxi driver. After weighing up my options, I trawled my parts boxes and found a set of 14mm spoked Markits tender wheels and saw that they would sit comfortably on the Gibson EM axles I had spare. 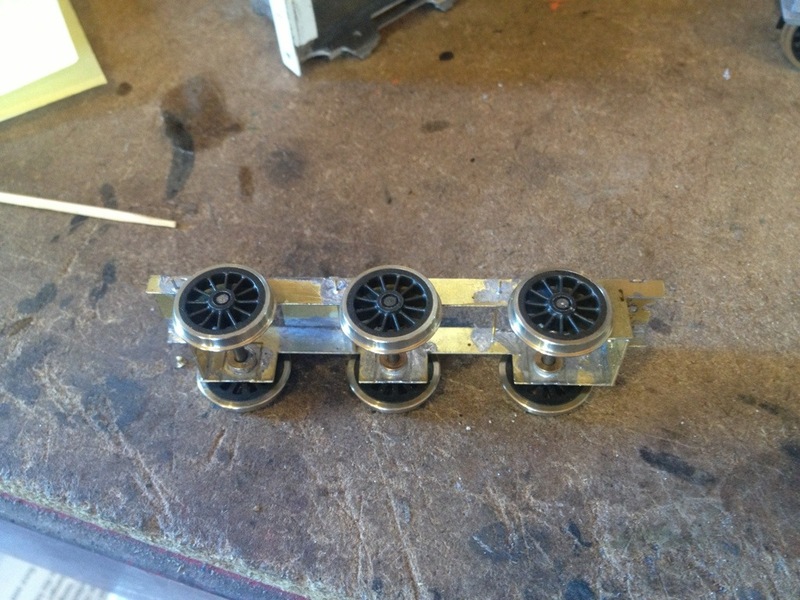 Feeling pleased that I’d pulled off the bodge successfully, I placed the wheelsets into the tender frames and have placed them temporarily under the body. There is still a bit of filing and clearance to be done underneath so the wheels turn freely and in truth I wish I’d fabricated new outer frames but things are pretty much on course now here to create a very nice little engine. I’m looking forward to adding the smaller parts and getting on with the painting. Oh and it’s a stovepipe and all – missed that earlier. 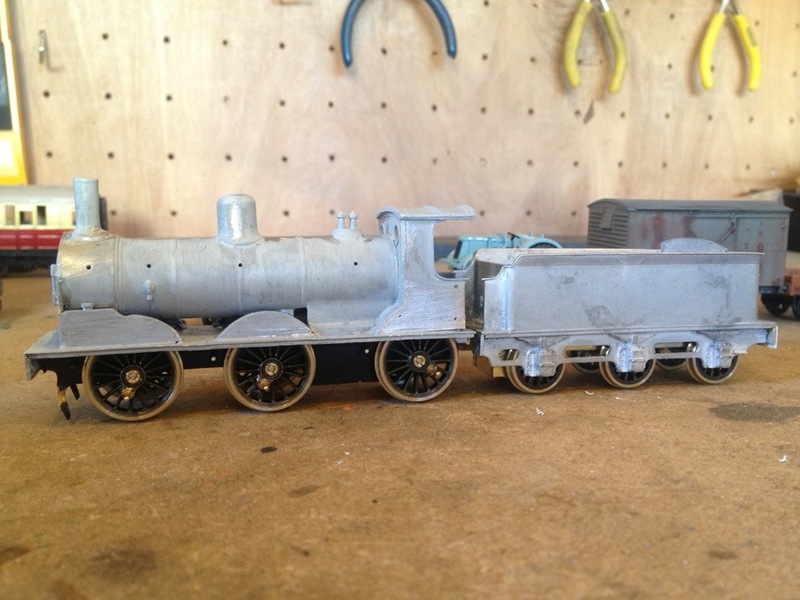 Why did you not just use the original tender wheels on blunt-end axles? If Gibsons, they’ll be thinner-tread and save you some filing. I’ve used some old Gibson blind axles here. The OO wheels are on a 1.5?mm axle. That option probably wouldn’t have ended well! I guess not – and would have rattled about in the bearings too I suppose. Given the near-standardisation of axle diameters I’m surprised all the same! Maximum please tell me she’ll look as rough as this! !